Stay at the Mercure Yangon Kaba Aye, centrally located along Kaba Aye Pagoda Road, one of the two main arterial roads leading out of the city centre to Inya Lake and just 15 minutes from Yangon International Airport as well as to the famed Shwedagone Golden Pagoda by car. The seven-floor property comprises 183 rooms & suites. 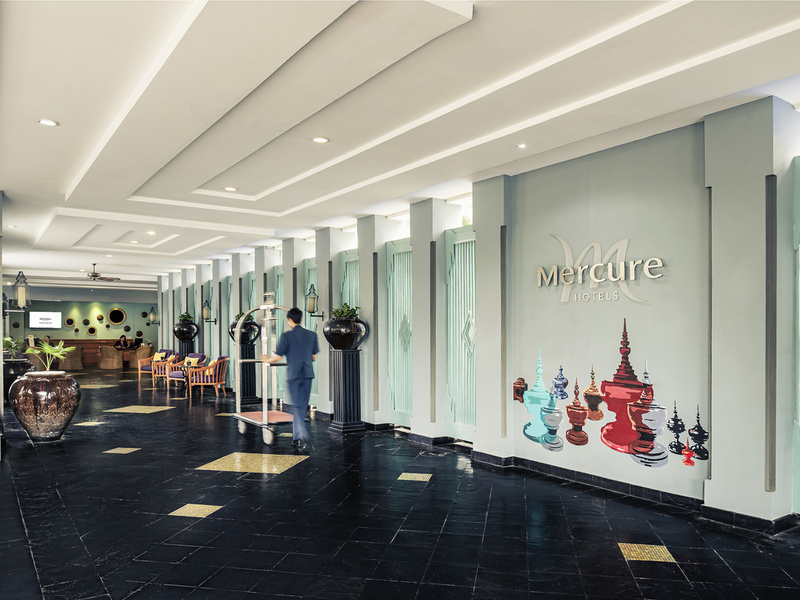 Enjoy the feeling of home as Mercure offers apartment style accommodation complemented with hotel services such as International and South East Asian Cuisine and a swimming pool. Easy access to business areas, tourist attraction sites and the airport. Close to popular Myanmar Centre/Plaza and newly open Yangon Convention Centre (YCC). MiCasa Restaurant & Bar is located on the lobby level featuring both International and South East Asia Cuisine. Offers A-La-Carte options with delectable local flavours as well as sumptuous international buffet supported by live cooking stations. Open daily from 6.30 AM to 11 PM, the bar offers wide array of beverages and complemented by a selection of international Wines.